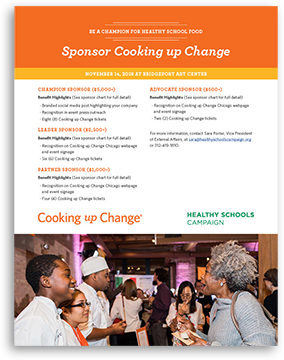 In Cooking up Change, Chicago public high school culinary students create a healthy school lunch their friends love. 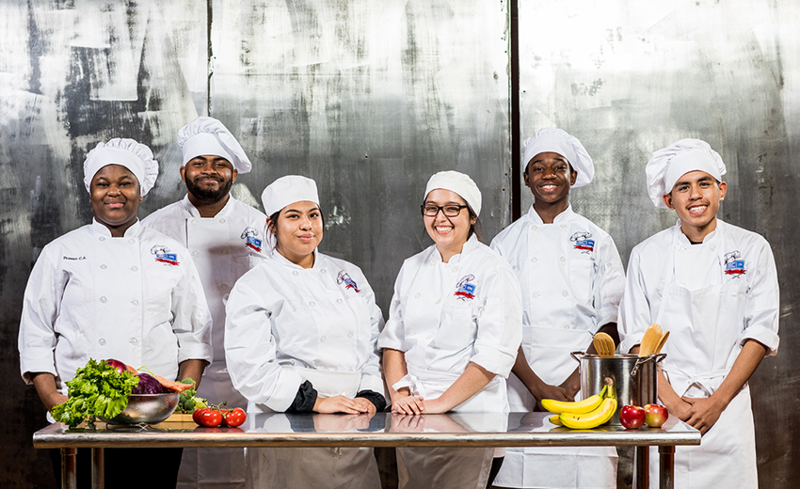 Students learn teamwork and in-demand kitchen skills, gain knowledge of healthy cooking and connect with professional chefs. 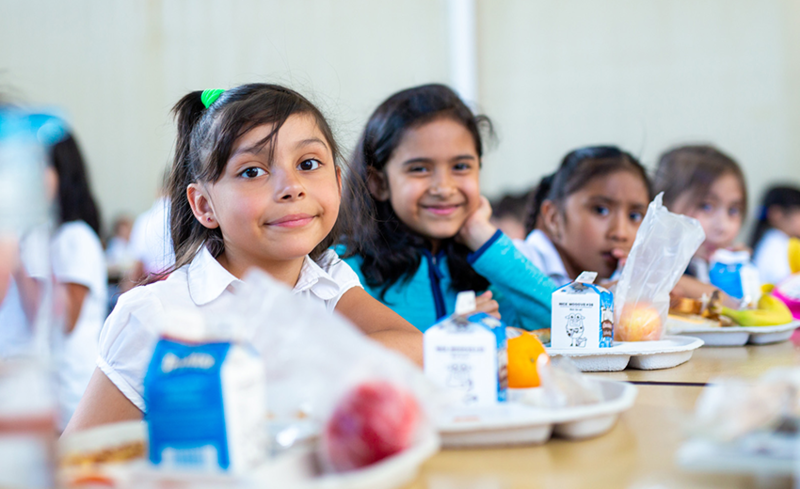 Perhaps most important, they see the smiles—from their peers, from restaurateurs and from members of Congress—that their meal inspires. Cooking up Change gives students practical skills and new confidence. For many, it also serves up life-changing opportunities and a powerful new awareness of their own potential. The competition received comprehensive coverage including TV, print, radio and online stories from both English and Spanish-language media outlets. 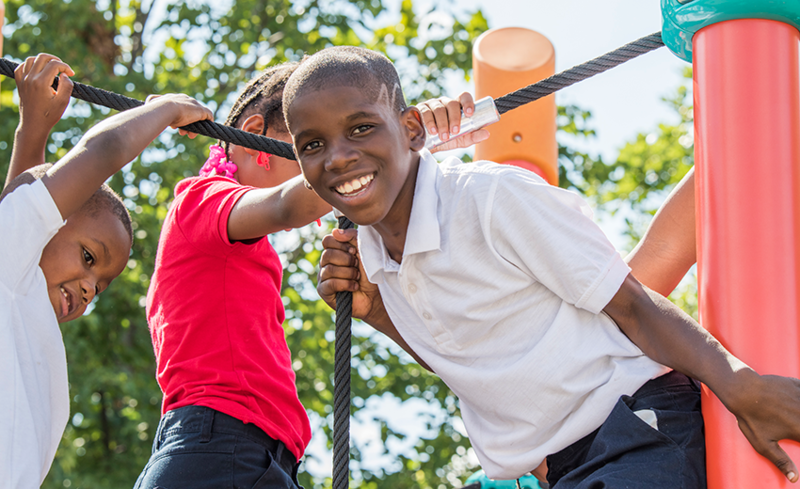 Highlights include coverage in the Chicago Tribune on the day the winning meal was served across Chicago Public Schools and a visit to the WGN studios where the students gave a cooking demonstration of their winning meal. Download the sponsorship form. 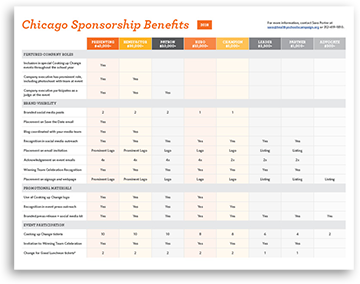 Download the sponsorship chart.